Is there anyone who can tell me that how to list all schduled background jobs. If yes then please go ahead and tell me with a brief explanation. IF you want do any background processing you must have to define a background jobs and scheduled too. Scheduled times nothing but it is just a part of job’s definition. There are numerous ways to perform schedule jobs. 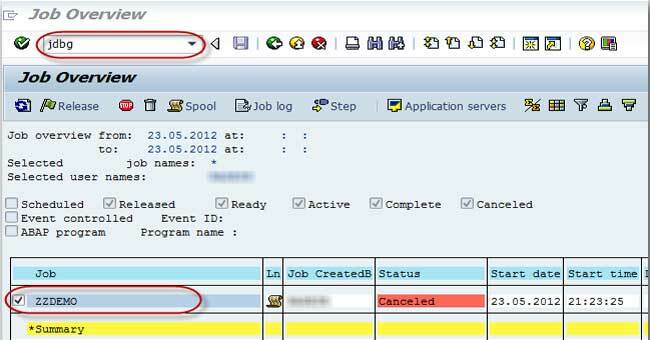 You can do scheduled jobs from Transaction SM36 that will define background jobs. Moreover you can also do this with the help of background processing systems own programming interface. Please make sure that there are several SAP applications that use the internal programming interface to schedule long running reports for background processing. Select CCMS and then select jobs and then definition. Now you have to provide a job name, after deciding the name you have to enter in it Job Name field. Set Class A, Class B , Class C which is high priority medium priority or low priority respectively. Now you system load balancing. Later you have to specify the email address. Now click on start condition to choose the job. If you want to use repeatedly you must have to check the box at the bottom of the screen. SM37 list all the background jobs u want to know. If you have lots of job the tables TBTCO and TBTCP is a much quicker way to get that information. Table TBTCO shows Job Status Overview.